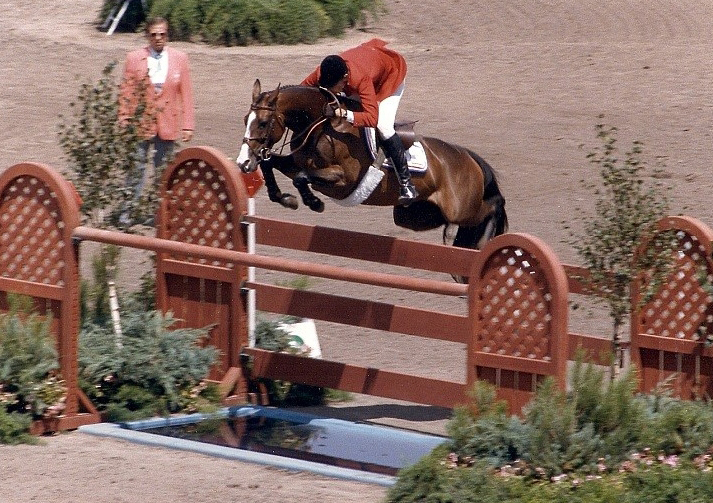 Touch Of Class with Joe Fargis riding at the 1984 Olympics. Photo by Tish Quirk. 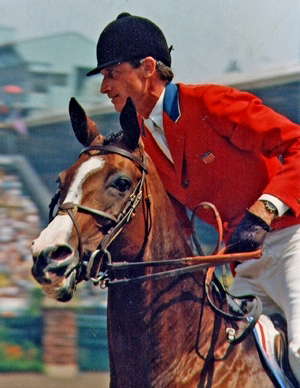 On Sunday, August 12, 1984, with the stands at Santa Anita Racetrack filled to capacity and the rest of the horse lovers throughout the United States glued to their television sets to watch the Olympic Show Jumping Individual competition, a small brown Thoroughbred mare with a tall Virginia horseman riding, jumped her heart out and became this country’s second Individual Gold Medal Winner in Show Jumping and its first double Gold Medal winner. Everyone knows her as Touch Of Class, but her registered name was Stillaspill. Bred by 19-year-old Jennifer Rowland Small and foaled on April 27, 1973, she was by the Maryland stallion, Yankee Lad, and out of Kluwall (by Cornwall). Kluwall also produced the stakes-winning steeplechaser Crocodile Tears and Special Memories (a stallion by Abdullah). Jennifer owned Kluwall and kept her at a farm in Maryland while she was in school. Kluwall was a good jumper herself. Her first jump had been a four-foot post and rail fence. 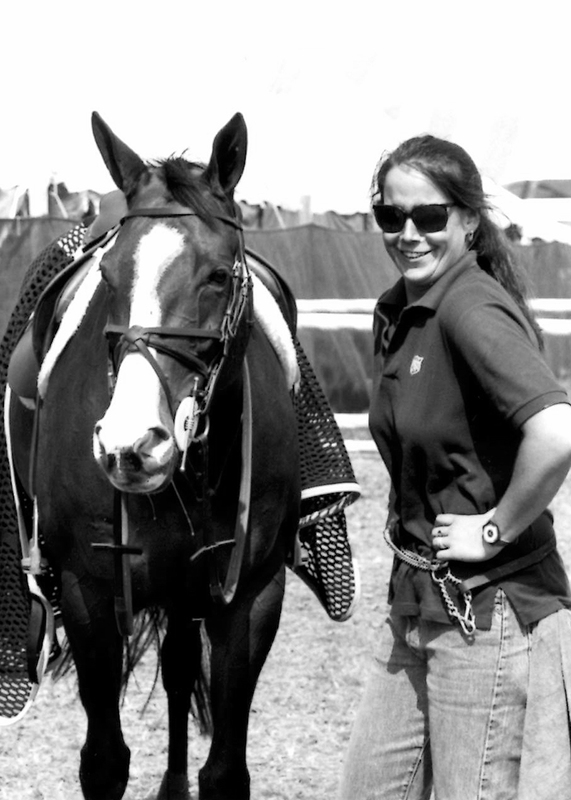 After she finished school, Jennifer started riding races for Thoroughbred Racing Hall Of Fame steeplechase trainer Mikey Smithwick, so she retired Kluwall and bred her to Yankee Lad. The resulting foal was Touch Of Class who lived at Mr. Smithwick’s Maryland farm for her first four years. While owned by Jennifer and stabled at Mr. Smithwick’s, the petite brown filly had access to all sorts of steeplechase jumps which she jumped freely as well as jumping out of the fields where she was turned out. She was raced 6 times on the flat at Charlestown and Bowie in Claiming races but never placed. Racing was not her thing. Jennifer finally sent her to Sylvia Hector, a well-regarded Maryland horsewoman, to turn into a show horse. In the next three years, the little mare was sold three times. From Sylvia Hector, she went to Vince Dugan, who was the first to show her in the Jumper division. Frances Rowe and Sally Dohner bought her from Mr. Dugan, and then sold her to Janet Nonni. She never sold for more than $15,000. 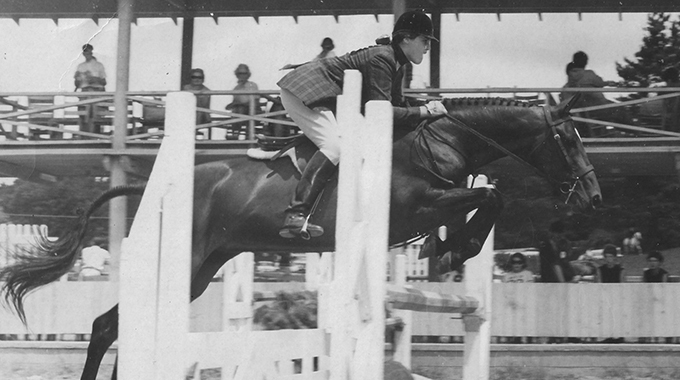 Once Janet Nonni bought the brown Thoroughbred mare, she renamed her Touch Of Class, called her Kitten (which then became “Kitty”, the nickname that stayed with her throughout her life), and turned over the reins to Debi Connor. 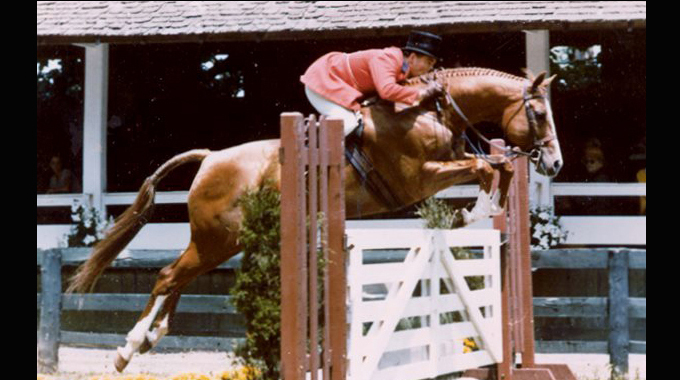 That Summer, Debi showed Kitty with some success up to the Intermediate level, culminating with the championship in the Intermediate Jumpers at Washington International Horse Show in 1980. Joe Fargis and Conrad Homfeld had been training Debi when she had a fall that put her out of commission in Florida in the Winter of 1981. Ms. Nonni then turned Touch Of Class over to Joe and Conrad to show. Joe showed her some, and Conrad showed her some. The year ended with Joe riding Touch Of Class to a win in the Open Jumper Stake at the National Horse Show in Madison Square Garden. Then came the time for Ms. Nonni to sell her. It was the Winter of 1981 – 1982 when Joe had his student, Junior rider Christian Currey, try the little brown mare to buy as a Junior Jumper. Christian got along fine with Kitty, so the Currey family’s vet was called to do a pre-purchase exam. He would not pass her. Joe loved Touch Of Class and wanted to keep riding her, so after the failed pre-purchase exam, he put together a syndicate to buy her. The original syndicate that owned Kitty was: Mr. and Mrs. Brownlee Currey, Mr. and Mrs. Patrick Butler, Earle Mack, Pam Hall, and Sandron (Joe Fargis and Conrad Homfeld). They each owned equal shares. Touch Of Class with Conrad Homfeld at Lake Placid in 1982 where they won the I Love New York Grand Prix. Photo by Pennington. With the new ownership in place and Joe riding, Touch Of Class moved up to the Grand Prix level in 1982. They were immediately successful and were picked for the World Championships in Dublin that Summer as part of the United States Equestrian Team. Before the World Championships, the American team went to Hickstead as a warm-up, and Joe had a fall (on another horse) that broke his leg. He was sidelined for much of the rest of the year. Conrad took over the ride on Kitty for the shows back in the United States. That Summer, the pair won two Grand Prixes and qualified for the 1983 World Cup Finals in Vienna, Austria. By the Indoor shows in the Fall, Joe was back in the irons on Kitty and won classes on her at Pennsylvania National, Washington International, and The National Horse Show. 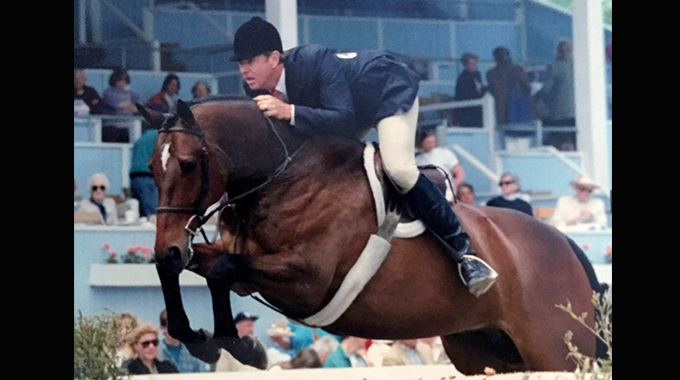 After a successful Winter showing in Florida in 1983, Joe let his partner Conrad ride Touch Of Class at the World Cup Finals in April since he had qualified her. The pair was fourth in the final standings. 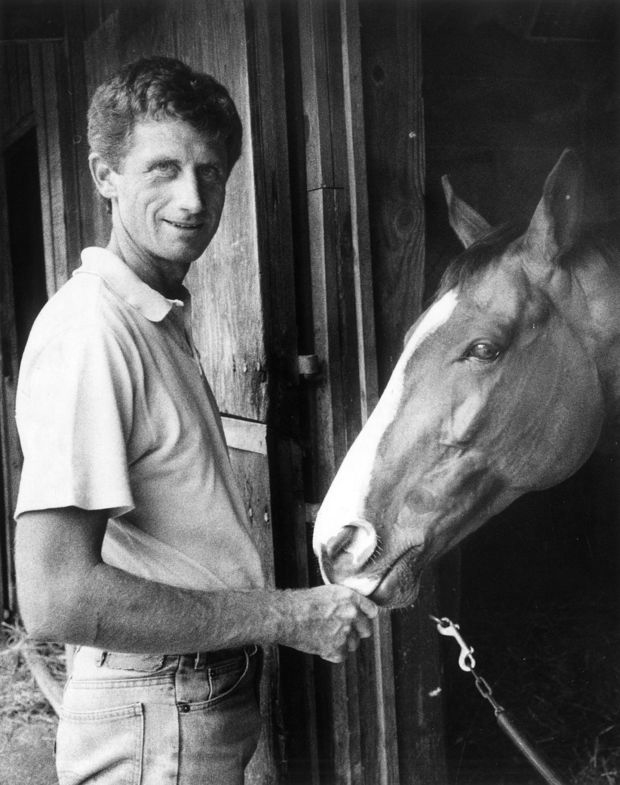 Joe and Kitty then finished out the year winning more classes in the United States and by being part of the United States Equestrian Team’s core Nation’s Cup teams with wins at Calgary and Rome. As the circuit in Florida rolled around in 1984, there was much excitement and anticipation as the Selection Trials started for the Los Angeles Olympics. Joe and Touch Of Class won the Grand Prix Of Tampa and were selected for the Olympic team. Before the Olympics, the pair went with the American team to Europe where they won the Nation’s Cup at Aachen. Next up…time to ship to the Olympics. Touch Of Class with groom Noel Solomon at Southampton in 1983. Photo by Liz Callar. The morning arrived for the Team Competition. The United States’ order to go was: Joe Fargis on Touch Of Class, Leslie Burr on Albany, Conrad Homfeld on Abdullah, and Melanie Smith on Calypso. The course was designed by former USET Chef d’Equipe, Bertalan de Nemethy. It wasn’t the biggest Olympic course ever (the highest jump being 5’6’) but “it put a premium on the rider”, as Tad Coffin said while commentating for ABC. 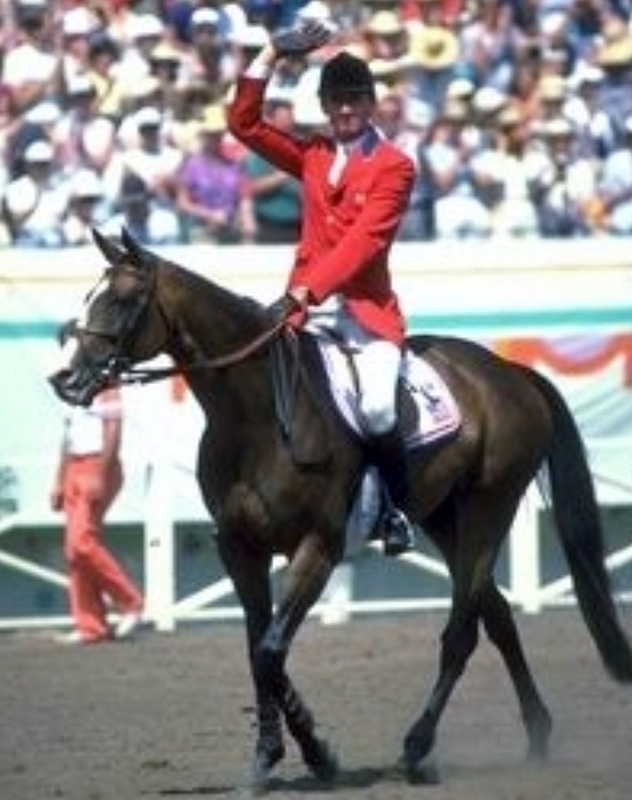 Touch Of Class with Joe Fargis riding at the 1984 Olympics. Photo by J. Gilchrist. As Joe and Touch Of Class entered the huge arena with the stands packed full of cheering fans, the nervousness that the little mare had outside of the ring had disappeared. Kitty entered the arena with her ears up and calmly cantered around preparing for the first jump. No horses had gone clean to this point, but fence after fence, Joe and Kitty stayed clear. As they raced across the finish line, six seconds inside of the time allowed, the stands erupted with cheers. The first horse for the United States was clear! After the other three Americans had gone – Leslie Burr on Albany (4 faults), Conrad Homfeld on Abdullah (8 faults), and Melanie Smith on Calypso (0 faults) – the United States was in first place. The American team final total of 4 faults held a commanding lead over second place West Germany with 20 faults at the end of round one. Touch Of Class with Joe Fargis riding at the 1984 Olympics. Photo by Alice Conroy Donovan. The second round started in the afternoon. Again, Touch Of Class was clean. Leslie on Albany had 8 faults. Conrad on Abdullah was clean. There was no way that the American team could be beaten for the Team Gold Medal so Melanie and Calypso did not have to go. It was the first time in the history of the Olympic Show Jumping that the Gold Medal had been won without the fourth horse having to go. By the end of the day, there had only been ten clear rounds, and two of them belonged to Touch Of Class and Joe Fargis. Video of the Team Competition at the 1984 Olympics. 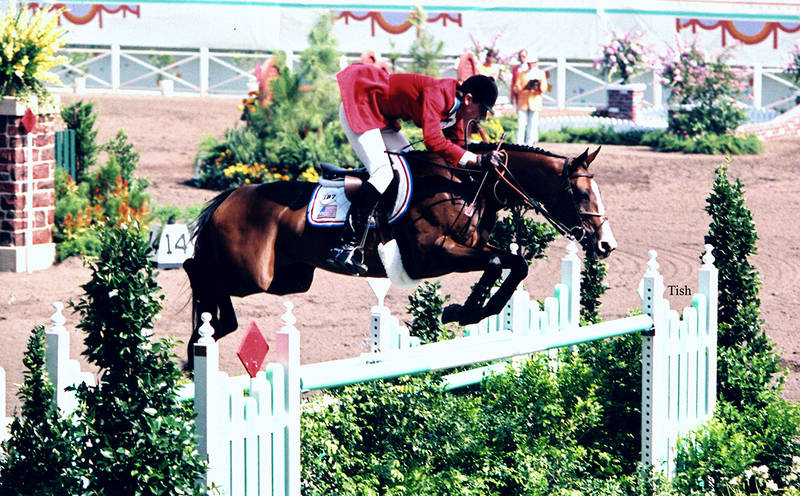 On the final day of the 1984 Olympics, the Individual Show Jumping competition took place at Santa Anita. The top twenty-five (twenty-eight with ties) were invited to compete. They started with a clean slate. Again, Touch Of Class jumped clear in the first round. Abdullah and Conrad had four faults in the first round but were clean in the second round. If Touch Of Class and Joe had another clear round, they would win the Individual Gold Medal outright. If they had a rail down, they would tie with Abdullah and Conrad for the Gold and would have to jump off. The little mare who had already jumped three clear rounds had a clear round going until the very last fence which she had down. Abdullah and Touch Of Class, with their riders both based in Virginia and in business together, would jump off for the Gold. It was the first time in Olympic history that such a thing had happened. The excitement was palpable! Touch Of Class with Joe Fargis walking around the arena after completing the jump-off course to win the Individual Gold Medal at the 1984 Olympics. Abdullah went first in the jumpoff and had two rails down for eight faults. All Joe and Kitty had to do was jump the course with four faults or less and the Gold was theirs. Once again, the little mare jumped around the Olympic course faultless. The Gold Medal belonged to Touch Of Class and Joe Fargis! After five rounds of jumping, Touch Of Class and Joe Fargis jumped 90 out of 91 jumps clean. An unprecedented performance in any year and any sport. They also were the first double-clears in Olympic history and the first to have won two Gold Medals in Show Jumping in the same year. Video of the Individual Jump Off and Interviews from the 1984 Olympics. When the Olympics were over, Touch Of Class returned to Joe’s and Conrad’s Sandron Farm in Petersburg, Virginia for a break before Indoors. She rested in her stall with a door that opened into a paddock (she still had the habit from her youth of jumping out of paddocks). At Washington International, Kitty’s winning ways continued as she won the very prestigious President’s Cup and was part of the winning Nation’s Cup team, as she also was the next week at the National Horse Show in New York. 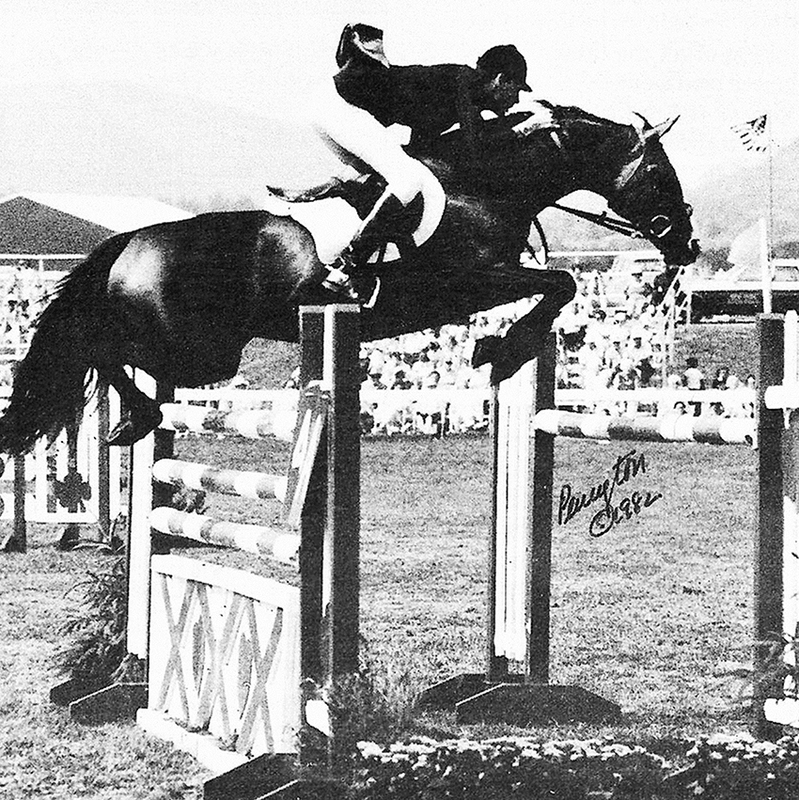 Touch Of Class’s tremendous effort in the 1984 Olympics was rewarded with her being named the USOC’s Female Equestrian Athlete Of The Year. She was the first non-human to win the award. Joe continued to show Touch Of Class sparingly through 1988. She won her share of big classes and went to the 1988 Olympic Games in Seoul as Joe’s backup to Mill Pearl but didn’t compete. At Tampa, in the Winter of 1989, Kitty pulled a check ligament, and the decision was made to retire her. She was shipped to the Currey’s River Circle Farm near Nashville, Tennessee to be retired and bred. Although she had three foals, none of them had their mother’s talent. Touch Of Class was inducted into the Show Jumping Hall Of Fame in 2000. Her incredible performances at the 1984 Los Angeles Olympics will never be forgotten by the millions that watched either in person or on their televisions. The little mare with the heart of a lion was put down at the age of 28 on July 1st, 2001. She is buried at River Circle Farm. Touch Of Class with Joe Fargis in 1984. Wow! That must have been really cool. You are lucky to have seen them.